ex2. 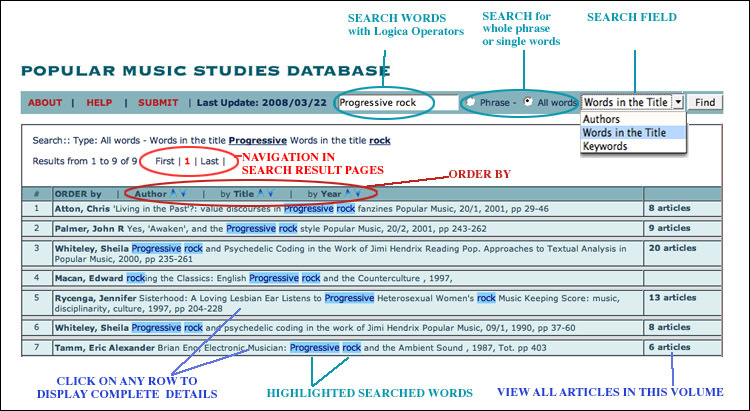 progressive rock with Phrase found only: "Progressive Rock ...."
The procedure should produce a list of titles relevant to your search. 1. To display complete bibliographical details of any title listed, click on the relevant line. The details will be displayed in a pop-up window and can be copied and pasted into any document on your computer.